September is a month of transition. The end of summer, the beginning of fall, and a return to school schedules, prompting a shift into new, perhaps busier, routines for many families. September is also Whole Grains Month, of course, which makes it a great time to try new recipes and adopt new, whole grain habits. 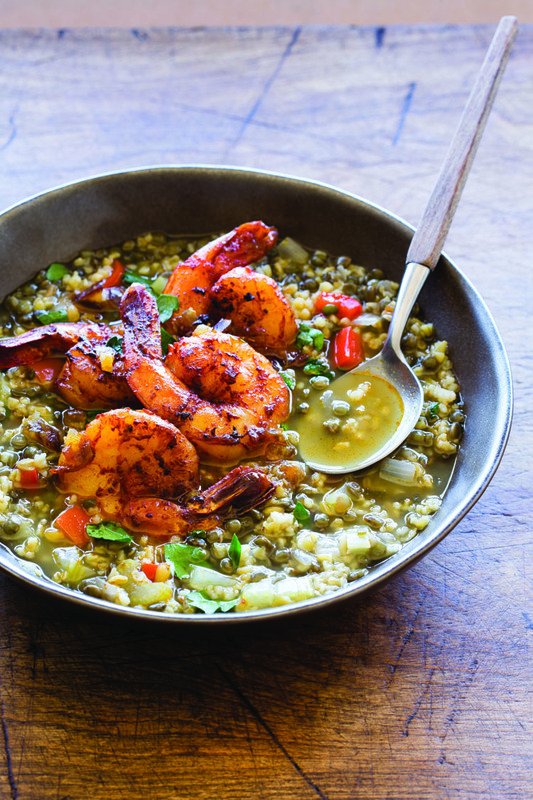 As the weather cools down, warm and hearty whole grain dishes can oﬀer just the cozy comfort you crave. With farmers markets chock full of colorful squashes, carrots, cabbage, and cauliﬂower, making whole-grain-and-vegetable soups is a really simple, delicious way to embrace the season. 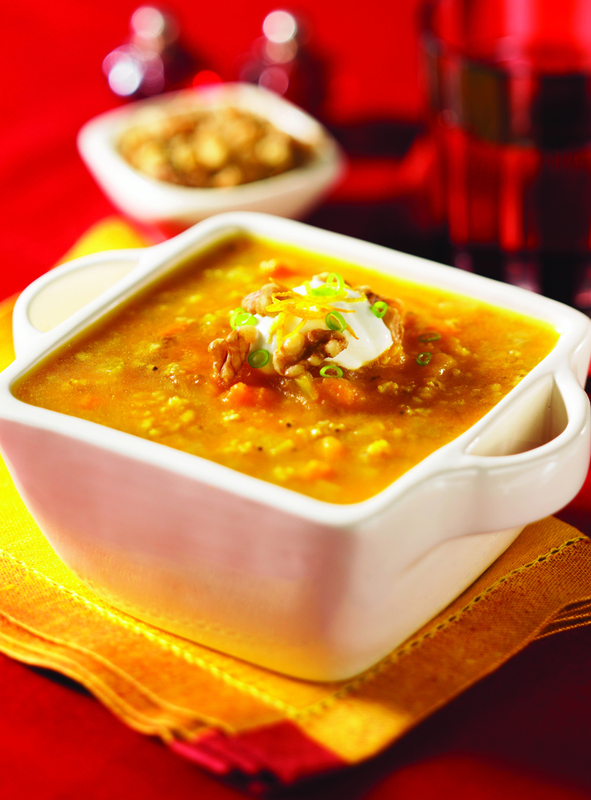 While barley, bulgur, and rice are more traditional additions to soup recipes, there is no reason to stop there! Small grains like amaranth and quinoa add light texture to soups, while larger grains like freekeh, wild rice, and farro contribute a chewy bite that’s perfect for thicker soups and stews. Most soups come together relatively quickly, but if you ﬁnd yourself pressed for time in the evenings, using a slow-cooker can be a great way to have dinner ready when you need it. Grains soak up a lot of liquid as they cook, so it’s often best to cook your grains in a separate pot and add them to your soup toward the end. If you do add your dry grains directly into your soup, just make sure you’re starting with enough broth. Our Cooking Whole Grains page will give you a sense of how much liquid diﬀerent grains require. One of the delightful things about making soup is that it tends to ﬁll your kitchen with fragrant aromas that linger even after your meal is ﬁnished. Adding spices and herbs to your soups is a great way to boost those ﬂavors and smells. Try adding dry spices/herbs toward the beginning of the process and wait to add fresh herbs until the soup is almost done. 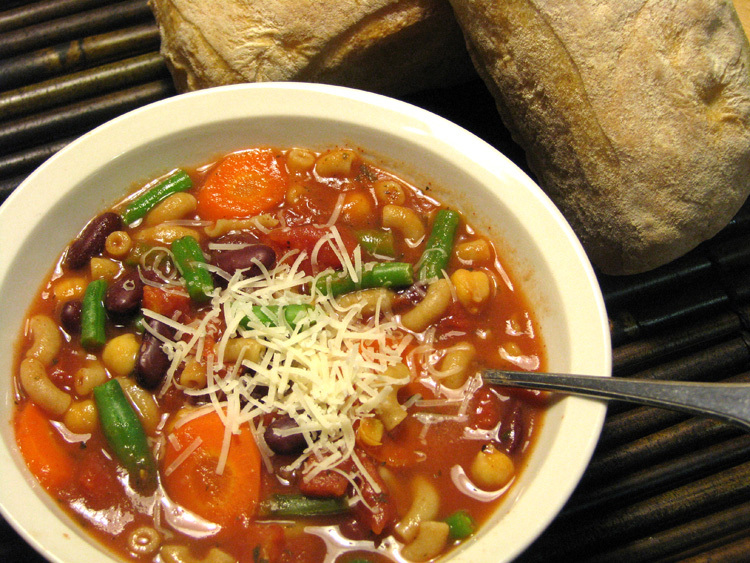 It’s easy to make whole grain swaps in your favorite soup recipes. Use cooked brown rice instead of heavy cream in your Broccoli Cheese soup, and swap in whole grain pasta in your beloved chicken noodle soup. For a fun twist, garnish your soups with popped or puﬀed grains. Try popping sorghum just as you would popcorn or look for puﬀed whole grains (like millet or brown rice) in the cereal aisle of your grocery store.